Associate Professor Fay Johnston heads the Environmental Health group, in the Public Health and Primary Care and Cardiorespiratory research themes of the Menzies Institute for Medical Research. She is a medical graduate with specialist qualifications in public health and general practice and a PhD in environmental epidemiology. After an initial career in remote medical practice, Associate Professor Johnston shifted her focus to epidemiology, public health medicine and environmental health research. Since the award of her PhD in 2008 she has been based with the Menzies Institute for Medical Research in Hobart where she leads an interdisciplinary research group addressing environmental determinants of health including the epidemiology of air pollution from outdoor fires and domestic wood heaters, aero-allergens and heatwaves. She holds a concurrent appointment as a Specialist Medical Advisor for Population Health Services in the Tasmanian Department of Health. Fay Johnston's work aligns with two of the University's research themes: Better Health and Environment. Her program focusses on environmental influences on health such as air pollution, heat-waves and aero-allergens, and the implications of these for public health policy and clinical practice. A key area of expertise is the health impacts of outdoor air pollution from landscape fires and she has been active in this research area for the last 15 years. 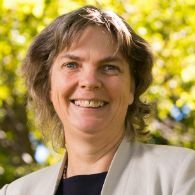 She works closely with Australian and international collaborators in the fields of environmental epidemiology, fire ecology, atmospheric chemistry, toxicology, social science and geography. Demonstrating that interventions to reduce the number of wood heaters and improve outdoor air quality in the city of Launceston also reduced mortality. Characterising the global mortality impacts from all landscape fire activity and tropical deforestation fires in particular. This has demonstrated major co-benefits of initiatives to address tropical deforestation. Demonstrating how, in higher risk groups such as people with asthma, adverse health outcomes can occur at particle concentrations well below current national 24 hour air quality standards. This international program of work is investigating the relative health impacts of planned burns and severe bushfires in the context of bushfire management. This is a partnership with Professor David Bowman's Environmental Change Biology Group in the School of Natural Sciences. This is an ARC Linkage project conducted in collaboration with partner agencies and investigators in Tasmania, NSW and Victoria and British Columbia, Canada where there are similar challenges in forest fire management. We are developing new approaches to the modelling of air quality impacts of landscape fires and other sources of air pollution and the utility of using these methods for public health planning and epidemiological research. This local Tasmanian project is another collaboration with the Environmental Change Biology Group. We are exploring new ways to reduce the public health impacts of winter air pollution from wood heaters, and developing novel systems for surveillance and health alerts to enable individuals and public agencies to better manage environmental health hazards in Tasmania, including heat cold and pollen counts. The work is funded by Sense-T. For more information visit the AirRater webpage. To register your interest in participating in this project please visit our blog. This is the child health and development stream of the Hazelwood Mine Fire Health study, a long term research program commissioned by the Victorian Government to investigate potential health impacts of an episode of severe air pollution generated by an open cut coal mine fire in the Latrobe valley of Victoria in 2014. The ELF study has two components. The first is establishing a cohort of infants born in the two years before and after the time of the fire to follow through future years, and the second is a large state wide data linkage study to evaluate the impact of the fire on perinatal health outcomes. This is a large collaboration with co-investigators from CSIRO, Monash, the University of Sydney and the University of Melbourne. For more information visit The Latrobe Early Life Follow up (ELF) Study webpage. For more information about Fay's research publications visit her Google Scholar page. A rapid response to a public health emergency resulting from bushfire smoke in the Huon Valley. The Dept of Health, Tasmania requested that we undertake an assessment of portable air cleaners to improve residential indoor air quality. To roll-out the AirRater App to the Northern Territory. Technical and scientific assistance to update Victorias Air Pollution Inventory for the estimation of 2016 wood heater pollution emissions in Victoria. We will use a novel technique known as HalogenImmunoAssay to help improve allergy diagnosis and treatment by testing which pollen types Tasmanians are sensitised to. The project that will be funded is a PhD, and the funds will be allocated mainly for a stipend and in a small proportion to cover some project costs (training, conference travel, etc.). The project is an attempt to combine research and practice from diverse areas with the purpose of developing an integrated assessment framework that will allow practitioners to objectively evaluate the impacts that wildfire risk reduction strategies impose on society and the environment. Of particular interest is the correct identification, quantification and valuation of health impacts (morbidity and mortality effects) potentially produced by fine particulate matter emissions (PM2.5) from fire smoke. A cost-benefit analysis will be used to estimate various economic metrics that will inform policy, by performing the following outlined steps: Identification of scenarios (e.g. prescribed burning vs. wildfires) Estimation of general costs under both scenarios Quantification of pollutant emissions Health impact assessment, including valuation of impacts Cost-benefit analysis (construction of economic metrics)The main output will be an Assessment Framework for the Evaluation of Wildfire Risk Reduction Strategies that will be applied to at least one case study (within Sydney Basin). Framework will be developed with the following research questions as main drivers: Is prescribed burning an effective method for improving public health? What are the real costs and benefits to society of reducing fuel load with respect to a baseline scenario that considers climate change impacts? Can fuel reduction strategies be systematically assessed to better inform policy makers? We will evaluate whether different interventions to improve residential indoor air qualitycan protect the health of Tasmanians exposed to wood smoke.The intended NHMRC partnership will incorporate measures of cardiorespiratory healthoutcomes. We will evaluate the efficacy of different residential indoor air quality interventions. Part One will evaluate the efficacy of potential interventions at reducing residential air pollution levels resulting from wood stove emissions. Part Two includes the use of AirRater to collect health symptoms of the study participants. The aim of this project is to implement pollen monitoring at 5 locations across Victoria in support of the Thunderstorm asthma project. This will ensure consistency between projects such as AirRater and future pollen related projects. This contract is to train pollen readers for the new Victoria pollen sites being implemented by the University of Melbourne. To conduct quality assurance of readings over time. Through the AirRater project the team have developed expertise in this area. This project will build a seamless methodology and physical system for generating real-time and 24-72 hour forward predictive intelligence of smoke transport (sourced from both within and outside of Victoria), smoke exposure and community impacts as sourced from social media and the AirRater app technology. This pilot study will evaluate the effectiveness of HEPA air cleaners at reducing indoor levels of wood smoke particulates in the homes of individuals with asthma. Emissions from burning biomass (including fossil fuels) are major features of our environment and are the 4th leading global risk factor for premature death.As countries shift their patterns of energy use in response to global warming, new challenges are emerging. Understanding this is crucial to our ability tomaintain health and stability in uncertain times. This CRE will examine the health consequences of (1) fossil fuel combustion, (2) landscape fires and (3)alternatives to fossil fuels. We will build on the multi-disciplinary collaborative approaches developed in our current CRE (the Centre for Air quality andhealth Research and evaluation, CAR). These approaches include: a) improved assessments of exposure using sensors, satellites and advanced statistics; b)cohort studies with data linkage; c) detailed measures of physiological endpoints; d) toxicological investigations; and e) intervention studies.Our plan for research translation will be guided by published high quality research. We will maintain the close collaboration with policymakers that we haveestablished over the last 5 years in CAR. In addition, we will employ a Translation and Knowledge Broker. We will establish Project-Specific AdvisoryGroups for each research theme and enhance our current active engagement with diverse conventional and unconventional media outlets.We have a plan for the development of the careers of air pollution researchers in Australia by ensuring that fellows are actively engaged in a diverse range ofprojects and disciplines relevant to air pollution research.Our team of 10 CIs, 10 AIs and 5 post-doctoral fellows from 5 Australian states reflects the successful development of the collaborative air pollution researchcommunity in Australia, under the influence of CAR, over the last 5 years. New cross-disciplinary and cross-national connections have been formed and haveled to funded research projects. The current proposal extends those gains. We will evaluate whether different interventions to improve residential indoor air quality can protect the health of Tasmanians exposed to wood smoke. This project will trial a highly promising approach to pollen and pollution forecasting, utilising an innovative type of atmospheric model. Ultimately, this type of modelling has the potential to help reduce the health impacts of these atmospheric hazards by providing the public with accurate, cost-effective short-term forecasts. International Visiting Research Scholars will undertake outstanding and innovative research in the sciences, socialsciences and/or humanities in interdisciplinary collaboration with UBC scholars.Visiting Research Scholars will be designated Associates of the Peter Wall Institute during their stay, and areexpected to spend some of their time in residence at the Institutes offices. CAR collaborators have been working with researchers across a range of disciplines and institutions to establish a facility at the University of Tasmania for controlled combustion experiments, particle generation, emissions characterisation and testing of appliances such as biomass stoves. Existing facilities in Australia have capability for some of these functions, however coordinated research is limited by a range of different academic and commercial institutions which are geographically dispersed. Access to these facilities for public health research in particular, is limited and often very expensive (e.g. the cost of appliance emissions testing).. The Hazelwood coal mine fire at Morwell in Victoria lasted 6 weeks. It was an unprecedented event that produced some of the most extreme concentration of PM2.5 ever measured in Australia. The public health response to this was hampered by the paucity of published evidence, particularly concerning the risk of longer term impacts on the health of those exposed. The purpose of the proposed research is to address this gap. This project follows a cohort of 1000 infants born between 1 March 2012 and 30 November 2014 who lived in the Latrobe valley during the Hazelwood coal mine fire in 2014, for a 10 year period. The primary aim of this study is to assess cardiovascular, respiratory and immune function, in the years following the fire, comparing infants who were moderately/highly exposed with those minimally, or not exposed to smoke. It examines the relative impact of prenatal vs post natal exposure and the modifying impacts of other potential risk or protective factors (such as environmental exposures, family history, age, use of interventions during the fires). A $1 million partnership between the University of Tasmania, the Tasmanian Environment Protection Agency, CSIRO, the Australian National University, and the Tasmanian Government's Department of Health and Human Services (DHHS). The AirRater project will build a Tasmania-wide sensor network to measure real-time air quality, and develop a smartphone app to provide individualised alerts to people whose health is at risk from smoke, pollen, heat or pollution. The sensor network will also be used to support community-wide air pollution health advisories, heatwave forecasting and alerts, and fire weather mapping to assist firefighters, landowners and government. Many regional centres experience extremely poor air quality during winter months from excessive emissions of smoke from wood heaters. This source of air pollution has been clearly associated with exacerbations of heart and lung diseases including asthma, otitis media, and lower respiratory tract infections. Reducing emissions from wood heaters can be achieved through careful operation but this requires all users to be well educated and motivated to ensure optimal operation of their heaters. Inexpensive technology has been developed to reduce emissions for individual wood heaters without requiring any change in the operation of the heaters. This project will evaluate the utility of using this technology to reduce community wide air pollution. This project will: 1) review and compare a range of methods for defining heatwaves in Tasmania; and 2) develop a spatial predictive model for forecasting heatwaves in Tasmania. Australia faces major challenges in bushfire management. Burning under controlled conditions is used to reduce the risk of dangerous fires but community opposition to this is common, often due to concerns about potentially serious health harms of air pollution. Robust evaluation of the risks to public health is lacking. Filling this gap is the core aim of this project. Drawing on real time smoke monitoring data, ambulance databases, and using advanced statistical techniques, we will assess the acute health impacts of smoke exposure for a range of time periods (124hrs). The results will provide urgently needed evidence to increase the safety and social acceptability of planned burning operations. Protecting communities from severe bushfires demands the balancing of competing interests and risks. Planned burns of forest fuels is a major factor in reducing the hazard of severe bushfires, but a common side-effect is the short-term exposure of communities to air pollution. The project combines expertise in ecology, environment, land management, and health to provide a scientific basis for quantifying the trade-offs between the health risks from inhaling smoke from planned burns and the effects of uncontrolled bushfires. This will involve the use of remote sensing, atmospheric modelling, and epidemiology, and will produce a robust suite of evidence for policy and practice managing smoke from both planned burns and bushfires. This project addresses current gaps in the evidence about the social perceptions and community health impacts of prescribed burning, an essential component of bushfire management in Australia. As fire is an integral part of the Australian landscape, exposure to fire smoke is inevitable for the majority of Australians. Current evidence suggests that public health harm is likely to be minimised by proactive management through prescribed burning, rather than relying on reactive management of severe bushfires as they arise. Prescribed burning is associated with community health risks as there is currently no known threshold below which smoke particles are not associated with a range of adverse health effects. These risks need to be clearly identified and quantified in order to: 1) compare with the health risks of failing to intervene to reduce the hazard of severe bushfires; and 2) enable evidence based management of these risks to increase the safety and public acceptability of prescribed burning. Dr Fay Johnston is active in the training and supervision of medical specialists in Public Health Medicine, and research higher degree students in environmental epidemiology and public health. Potential students with solid backgrounds in any of the areas of clinical medicine, public and environmental health, data linkage, cohort studies, statistical modelling and the manipulation of large datasets are welcome to inquire about opportunities within her group.